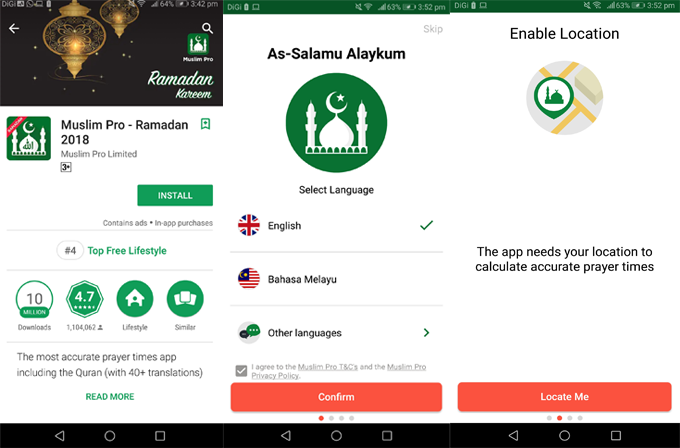 Muslim Pro, which is currently the world’s number #1 Muslim Lifestyle App has expanded its operations to Malaysia. The set-up of Muslim Pro Malaysia is a natural move for the company as Malaysia is currently a Top 5 market for the App and a leading proponent when it comes to the development of the Islamic Digital Economy. With over 52 million downloads globally, Muslim Pro is used by Muslims in over 200 countries around the world. 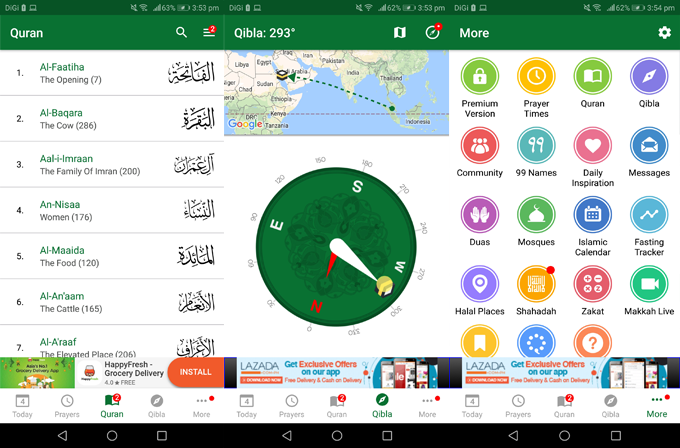 The app offers features such as accurate prayer times, Qibla directions, various translations & recitals of the Qur'an, Halal restaurants & Mosques locator, Zakat Calculator and a host of other useful community & lifestyle features. 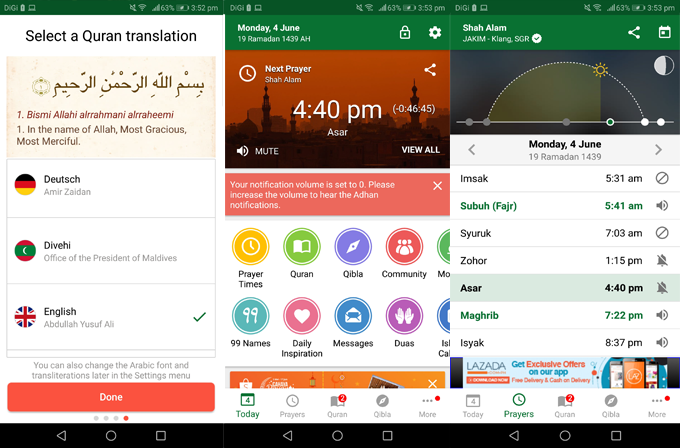 It is now available in 40 translation languages since the Muslim Pro app introduced to the Muslim people around South-East Asia countries. Last year, Affin Hwang Asset Management (AHAM) of Malaysia and CMIA Capital Partners (CMIA) of Singapore jointly acquired a controlling stake in Bitsmedia, the developer of the Muslim Pro App. The founder, French national and former member of the Google team, Erwan Mace continues to hold a minority stake in the company. 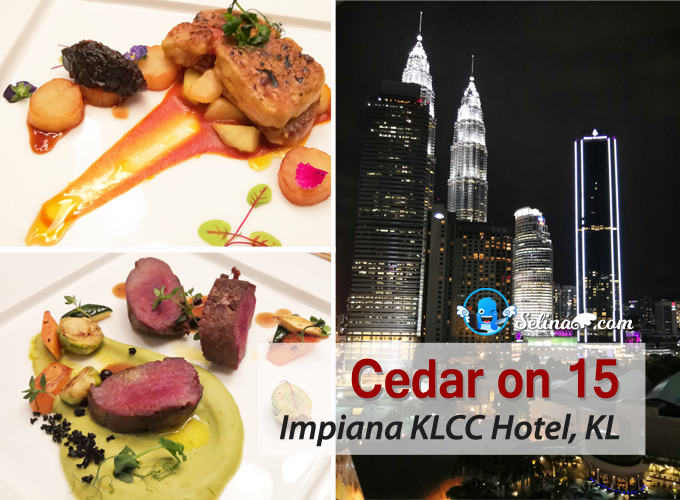 CMIA & AHAM hope to leverage their deep ties both in Malaysia and South-East Asia to assist Muslim Pro to execute its regional expansion strategy. 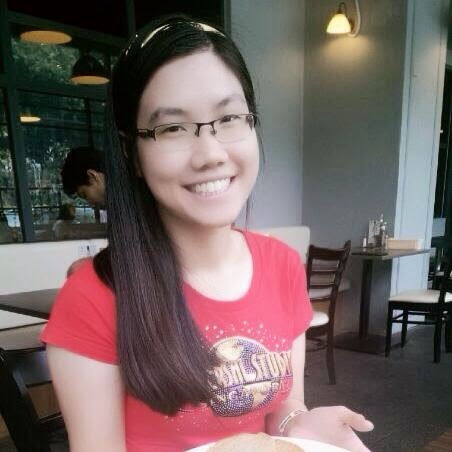 As part of the Malaysia expansion, En. Nik Emir Din was appointed as Country Manager for Muslim Pro Malaysia. Now as the local face to a global brand, Nik Emir has the responsibility to grow Muslim Pro’s brand and market presence in Malaysia. Muslim Pro is actively seeking win-win partnerships with corporates, institutions and government agencies that can leverage on the App’s strong local and global presence. There is a significant opportunity for Muslim Pro to play a leading role in the development of the Islamic Digital Economy, which has been built on the growing demands of the Muslim lifestyle. The macroeconomic and demographic trends strongly favour continued growth in the medium and long term both in the region and globally. 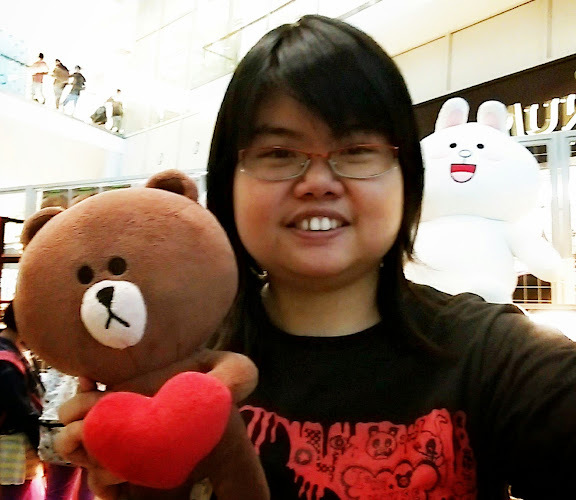 “This is especially true in South East Asia where the number of Muslims is over 250 million coupled with the fact that roughly 90% of Southeast Asia’s internet users are smartphone users. Muslim Pro is actively looking for partners to help us capitalise on this attractive megatrend.” Commented Nik Emir when speaking to the media about future growth prospects. During the launch, Muslim Pro signed a Memorandum of Understanding with Malaysia Airlines under Project Amal, its wholly owned pilgrimage charter business, catering to passengers wishing to perform their Hajj and Umrah. The partnership is aimed at developing and enhancing Project Amal’s passenger experience through the Muslim Pro mobile application, ultimately enriching their pilgrimage journey. Muslim Pro is represented by Nik Emir Din, its Country Manager while Malaysia Airlines is represented by Hazman Hilmi Sallahuddin, a senior member of Project Amal. “At the same time the agreement will allow both Muslim Pro and Malaysia Airlines under Project Amal to tap on each other's global brand presence and international reach to expand and improve their existing product offerings as well as grow their respective customer base.” Continued Nik Emir. “As we all know this auspicious month of Ramadan is an important time for Muslims and for Muslim Pro we have already seen a spike in usage and activity from our users. We would also like to take this opportunity to wish all Muslims a peaceful and blessed Ramadan.” Concluded Nik Emir. Need to find a Mosque or Halal restaurants? 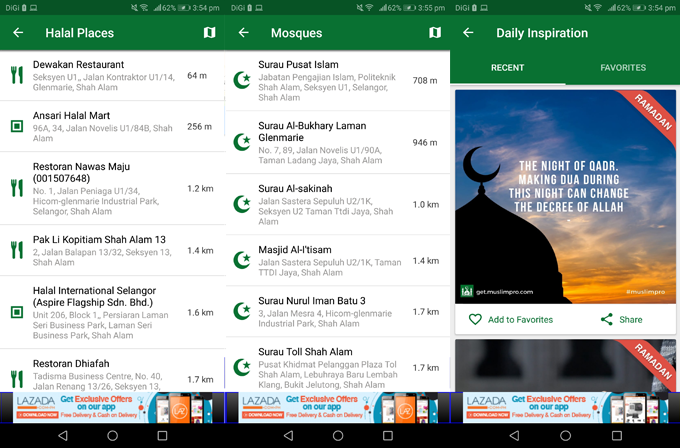 This Muslim Pro will tell you the nearby places where you can pray or berbuka puasa with using Google maps, shows you the address and the distance for each place once you set up your location data. It's interesting because they offer some features like Prayer time, Qibla, Halal Places, Mosques location, and many! I would recommend this best app, Muslim Pro to anybody and Deaf friends who need the Qur'an reading or fasting time or look for the halal restaurants. Please visit at muslimpro.com for more information.